A congressional investigation into the Planned Parenthood abortion business over its sales of body parts of aborted babies has concluded. Lawmakers are suggesting that Congress defund the abortion company as a result of the problematic actions they uncovered. The House Select Investigative Panel has concluded its yearlong investigation and released its Final Report which can be read in full here. The report details many of the disturbing practices the Panel uncovered in the abortion industry with the selling of fetal tissue along with information regarding our public hearings, subpoenas, criminal and regulatory referrals. “It is my hope that our recommendations will result in some necessary changes within both the abortion and fetal tissue procurement industries. Our hope is that these changes will both protect women and their unborn children, as well as the integrity of scientific research,” said Chairman Marsha Blackburn. “Over the last year, the Select Panel’s relentless fact-finding investigation has laid bare the grisly reality of an abortion industry that is driven by profit, unconcerned by matters of basic ethics and, too often, noncompliant with the few laws we have to protect the safety of women and their unborn children. I have never shied away from my own pro-life views, but the findings of this panel should incense all people of conscience,” added Rep. Diane Black. Over the course of its year-long investigation of fetal tissue procurement companies and abortion businesses, the Select Panel found evidence that several tissue procurement companies and abortion clinics may have violated federal felony laws prohibiting the sale of human fetal tissue. It has recommended that an additional 15 entities be potentially criminally prosecuted for their actions. Among those entities is Planned Parenthood Gulf Coast, the Texas affiliate of the Planned Parenthood abortion company. In the information that Congressional panel provided to LifeNews, it has sent a letter to the Texas Attorney General indicating that it learned that the Planned Parenthood affiliate may have violated both Texas law and federal law when it sold the body parts of aborted babies. The Congressional panel is recommending potential criminal charges related to the possible lawbreaking activity. As LifeNews.com has previously reported, Planned Parenthood abortion clinic in Houston Texas was exposed selling the body parts of aborted babies. In January, attorney Brisco Cain released a series of invoices between Planned Parenthood of the Gulf Coast and the University of Texas Medical Branch on Thursday, showing charges ranging from $1,500 to $3,750 for “consent payments” that Planned Parenthood supplied to university researchers. “Consent payments” mean aborted babies’ body parts, according to Planned Parenthood Gulf Coast Director of Research Melissa Farrell’s own statements, Daleiden pointed out. In August, the Center for Medical Progress released an undercover video of Farrell explaining that Planned Parenthood uses the words “per consent” to charge for aborted babies’ body parts “in order to ‘frame’ the project budget in a way that will look legal ‘on paper,’”CMP director David Daleiden said. Farrell has overseen the affiliate’s sales of aborted baby body parts for a decade, he added. The Planned Parenthood invoices list the “consent fee” followed by the number of specimen and then a charge of $25 to $150 per specimen. The invoices are dated from 2010 to 2011. Farrell’s signature also is on several of the invoices. “Now, Texas taxpayers can see the illegal proxy payments for fetal specimens on PPGC’s own invoices to UT Medical Branch, which either inexplicably jumped from $25 per specimen to $150 per specimen over the course of one year, or demonstrate an illegal scheme to make extra money off of usable specimens. Governor Abbott and Attorney General Paxton must hold Planned Parenthood Gulf Coast accountable for their flagrant violation of the Texas Penal Code and their abuse of Texas taxpayers’ dollars,” Daleiden said. 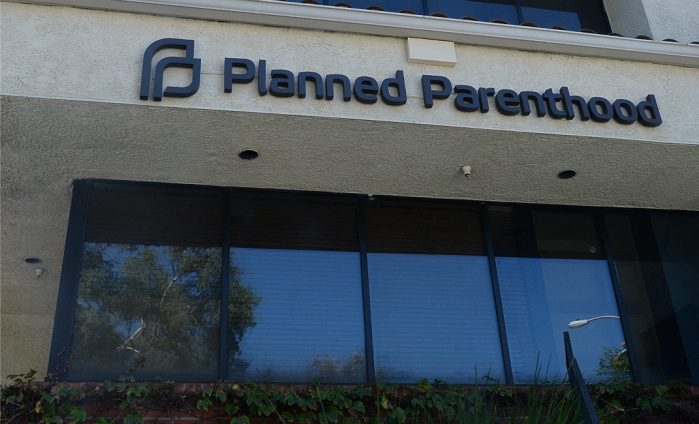 The video of the Houston Planned Parenthood makes it appear the Planned Parenthood abortion business also may be selling the “fully intact” bodies of unborn babies purposefully born alive and left to die. The video shows Farrell, advertising the Texas Planned Parenthood branch’s track record of fetal tissue sales, including its ability to deliver fully intact aborted babies. The Congressional panel referred to this potentially illegal activity in its letter to the Texas attorney general.